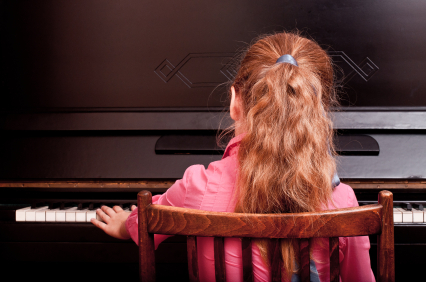 If you or your child has begun piano lessons, you’re probably in the market for a piano. Many beginning and intermediate musicians often consider purchasing a used piano. A previously played piano may be a bargain, and more affordable than a brand new instrument. But purchasing a used instrument can be tricky, and you’ll need to do your homework before committing to a seller. For starters, you’ll need to know where your piano will sit in your home. That’s an important consideration because the size of the piano you purchase, and the type of piano you purchase, will largely depend on the space you can offer it. Be sure you place your piano out of direct sunlight, and if possible, up against a wall. Once you determine where you piano will sit, measure the space so that you have the proper dimensions. A small space may require that you purchase a Spinet or another small piano, a large space will give you more flexibility and options. If you’ve decided a used piano is what you’re looking for, it would be worth your while to enlist the help of a piano tuner and technician. A reliable tuner/technician will be able to evaluate the pianos you’re considering, and will know what to look for and spot potential problems that you might not see. Don’t rush your search for the perfect piano. Take your time, and be willing to see more than one piano. You’ll want to compare instruments in order to determine if a seller’s price is fair, and to see what your local market is like. Sellers may be private owners, college or university music departments, music schools, professional musicians or even piano tuners and technicians. Be prepared to visit a variety of destinations in your search. You’ll want to know the history of the piano (model, make, age) as well as its model number, to verify the information. In addition, be sure to ask how the piano was used and by whom. How often was it played? Was it moved frequently? Why is the piano for sale? Inspect the piano very carefully, and take your time. Press every key twice, once without the pedal, and again while depressing the right pedal. Listen for tone, and be sure the keys and pedals don’t stick. Make sure your technician/tuner inspects the top of the piano and the inside. Look for rust and dirt, and make sure your expert expects the hammers and strings. Be sure you asked how often the piano was tuned, and ask for the name of the tuner. Make sure the tuner was professionally qualified. Take notice of where the piano has been stored. Does it sit in direct sunlight, or near an open window where rain or cold or hot temperatures could damage the instrument? Ask how many owners the piano has had. Once you’ve decided on an instrument and paid for it, you’ll need to move it to your home. Resist the temptation to move the piano yourself, or have it moved by an ordinary moving company. You’ll want to enlist the help of experienced piano movers. After all, you just made an investment in a used piano, and now is not the time to take shortcuts and risk damaging your instrument.